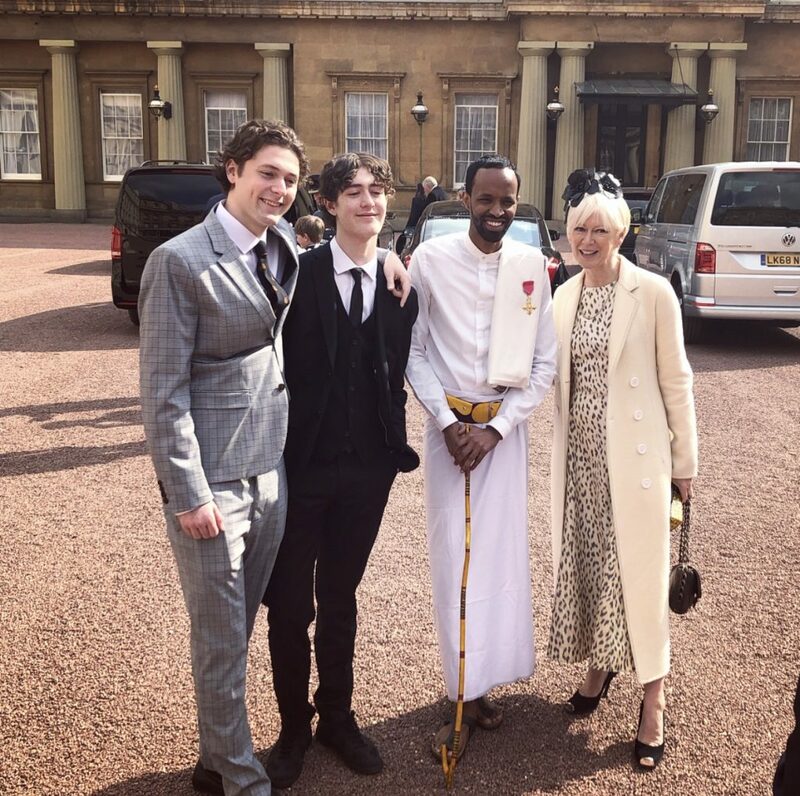 Anti-Tribalism Movement Director Adam Matan paid a visit to Buckingham Palace yesterday to receive his OBE medal at a special investiture officiated by Prince William, the Duke of Cambridge. Adam received the award for his service to the Somali community and wider UK-Somalia relations. The ceremony took place in the grand Ballroom and commenced with a procession from the Yeomen of the Guard – the oldest British military corps still in its’ existence created by King Henry VII in 1485. 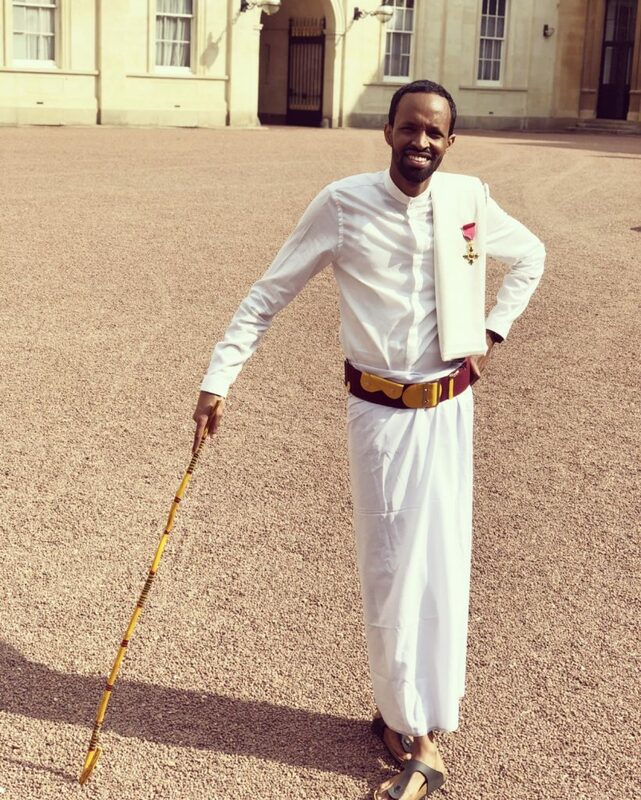 Adam is the first Somali ever to receive the OBE honour though he joins other prominent Somali’s who have received honours before him. Notably, Sir. 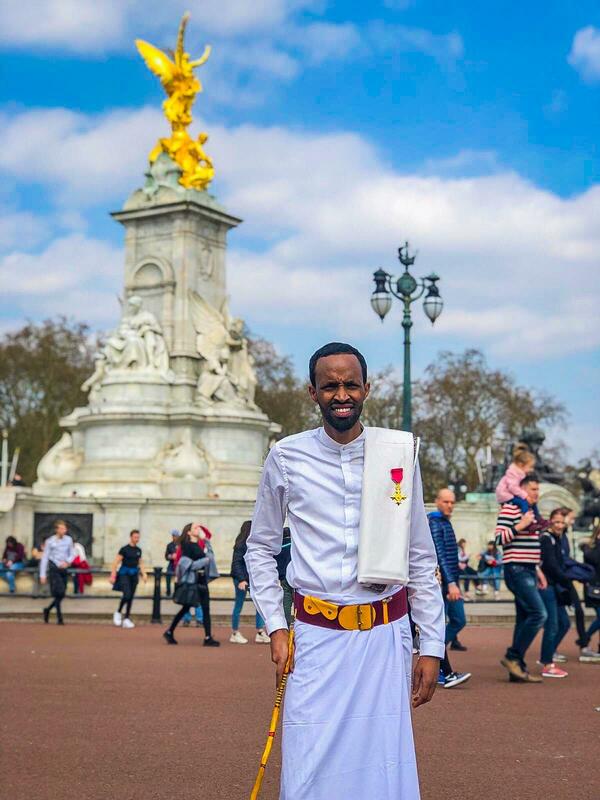 Mo (Mohamed) Farah for service to sport and the late Abby Farrah MBE who was honoured by King George VI for his war time services to seamen. The investiture was full of inspiring individuals. 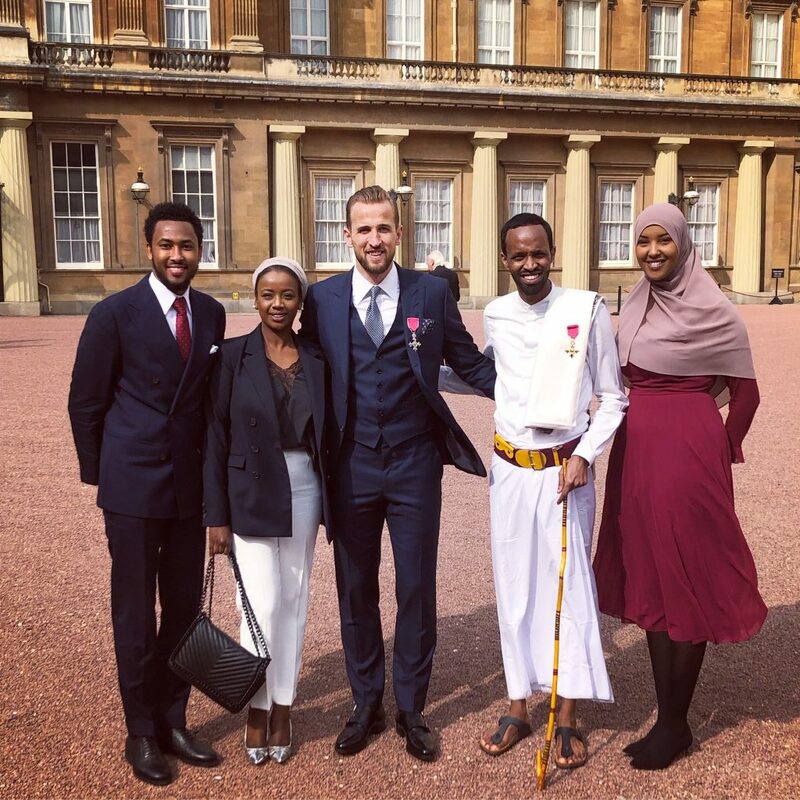 England football captain Harry Kane received an MBE for his services to football in recognition of the recent World Cup run and media icon Joanna Coles was a recipient of the OBE for services to journalism. 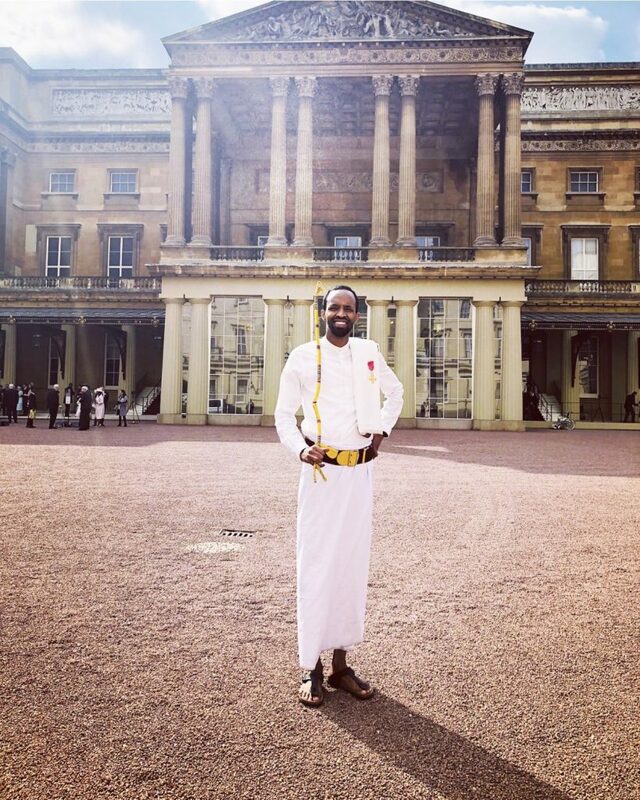 Adam came to the United Kingdom as a teenager from Somalia after fleeing the brutal Somali civil war. Adam settled with his family in Acton, West London where he gained a formal education and readjusted to life in the UK. It was here Adam met other young Somalis who were trying to navigate life in the UK and fed up with archaic tribalistic ideologies which were dividing the Somali community. Together, they established the Anti-Tribalism Movement in 2010 to uplift the Somali community, encourage reconciliation and eradicate tribalism. Almost a decade later, his commitment has now been recognised by the royal family and wider society – though Adam’s efforts were recognised long before by those he has directly served. We are proud, delighted and inspired by this remarkable feat congratulations Adam Matan OBE.